I hate gardening! There, I said it! 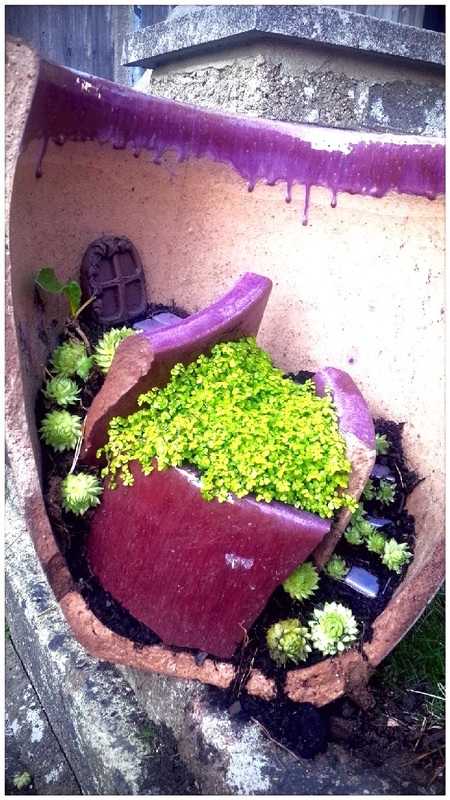 I find it time consuming, manicure ruining and generally a drag, I could only get enthusiastic for my fairy garden……. But I have been gradually persuaded into doing more gardening by my husband. As I have done more, I have realised that although I love flowers, the most satisfying gardening comes from growing veggies. 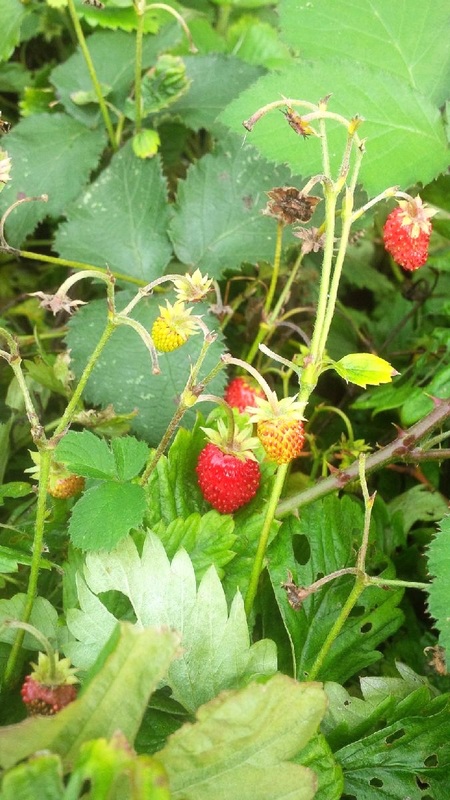 So, here are my (almost) no fail selection of fruit and veg you can grow in even the smallest patch. Our trees are at least 50 years old and enormous but if space is at a premium you can grow some dwarf varieties in a large pot. 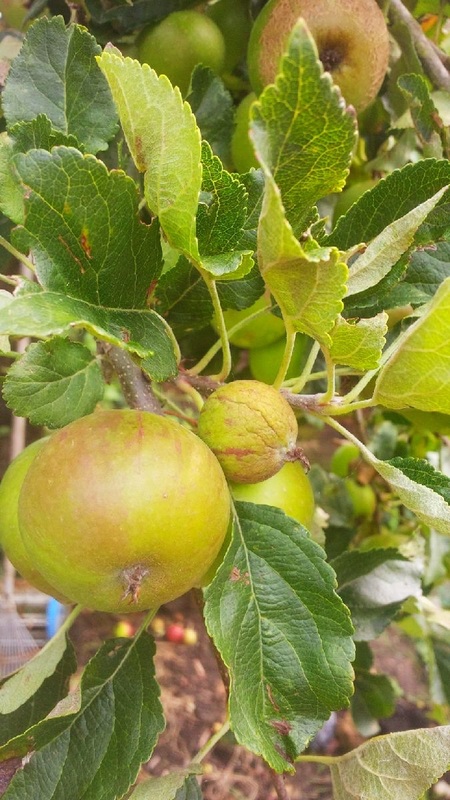 This year looks like a bumper crop so we have endless apple pies and what is known in our house as apple mush to look forward to. 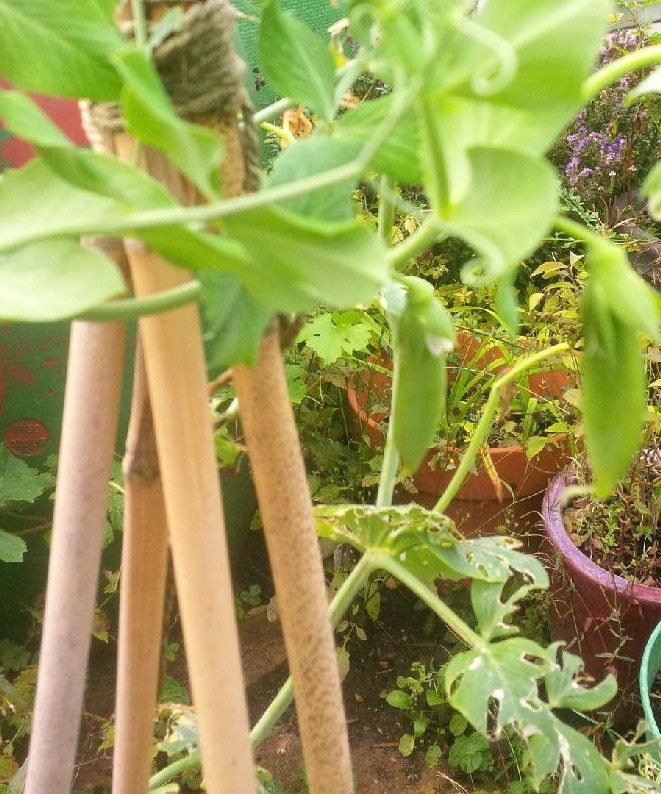 Next, how about sugar snap peas or mange tout, these were grown from seed and they were just repotted once before going outside……. These have been amazing for stir frys and just grazing round the garden! Then onto the old faithful-tomatoes, the seeds for these came free with a gardening magazine! 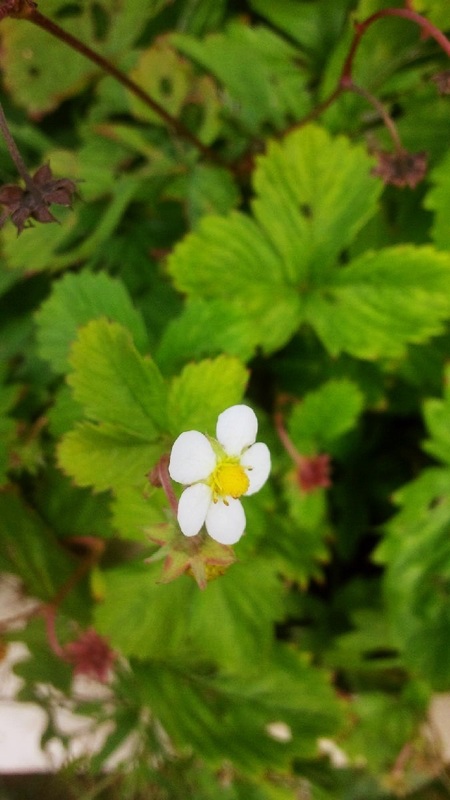 They are easy to grow and almost fool proof, as long as you don’t get blight which just appears and is the equivalent of the Black Death for your toms…..
Next, another favourite – strawberries, these are a small alpine variety and I think I like the flowers as much as the fruit…..
On a hot day they make that part of the garden smell like jam! These have a great flavour, milder than shop bought but with great warmth. 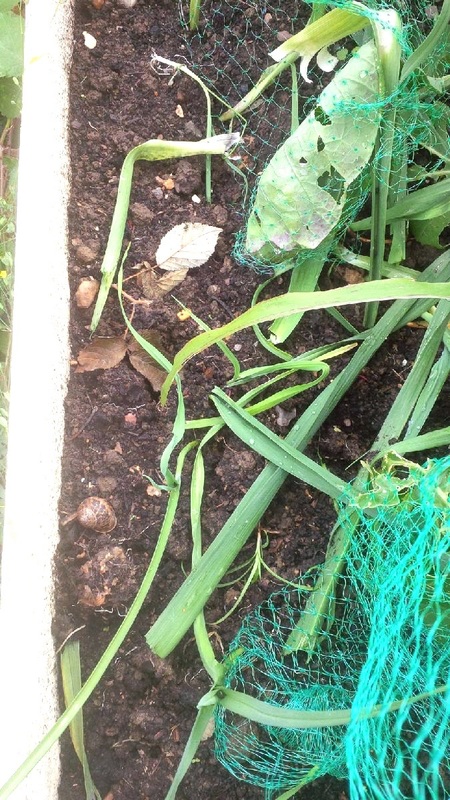 Finally leeks, we have grown about 20 in a very small raised bed, but they are coming to the end so this picture looks like a leek graveyard…. 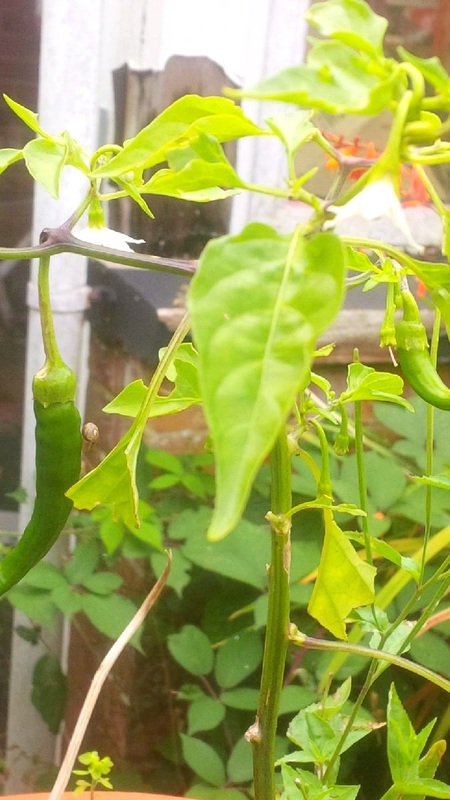 Finally, a word of warning, buying seeds can be addictive, my husband succumbed to this…. This is a cucumelon! 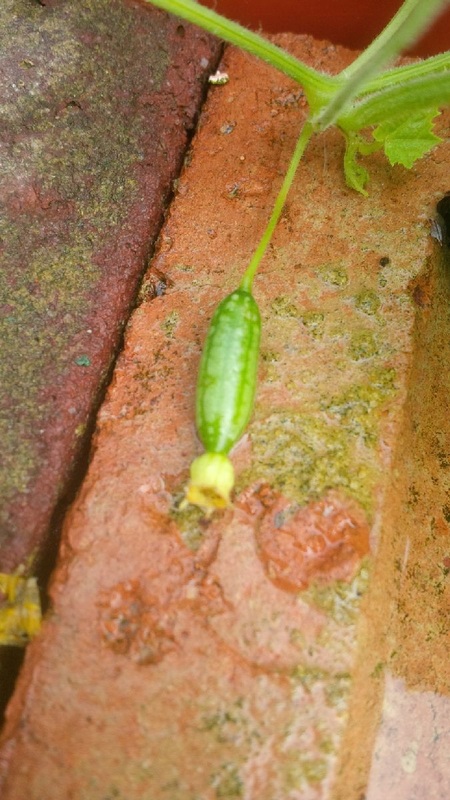 It is as it says on the tin, a hybrid of the cucumber and a melon, don’t let the picture fool you, that fruit is exactly 2cms long! Let me know what you are growing or whether you are anti gardening like me! 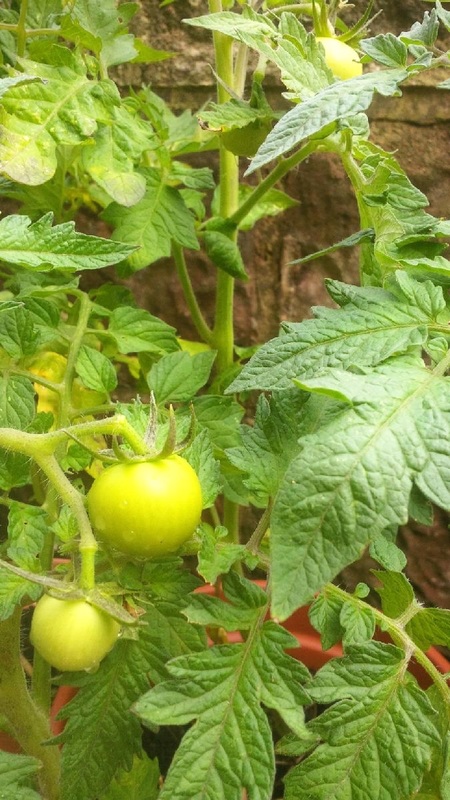 This entry was posted in garden, Uncategorized and tagged apple, cucumelon, fairy, garden, leeks, strawberries, sugar snap, tomato by karenlorenz. Bookmark the permalink.